What is a Binaka App? 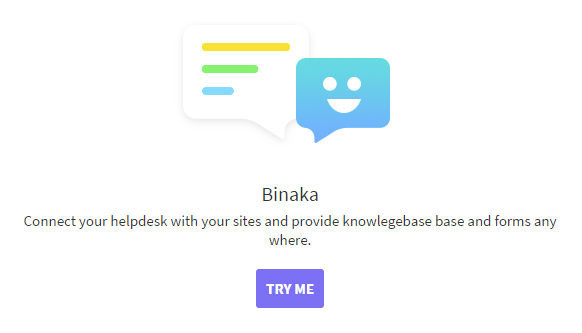 Binaka is a dynamic app of UVdesk Helpdesk which will provide quick support to the users on the website which is integrated with knowledgebase or FAQ ( Frequently asked questions ). 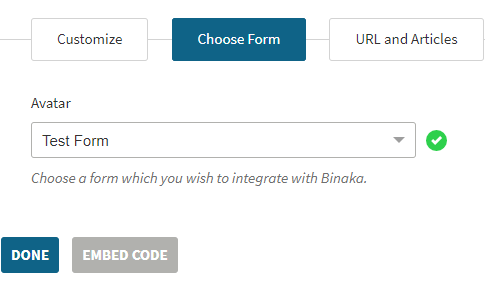 You can integrate both Knowledgebase as well as Contact Form in Binaka. But if you want to integrate only, please follow the below steps. On the Dashboard, you will see "APP CENTRE" menu and under it, you will find "Binaka". You will see three tabs- Overview, Documentation & Configure (after app installation). Click on that button and Binaka App will get installed. Alternately, for uninstalling the app, go to Binaka App "Overview" section then click on Uninstall button. Now, under the Configure, click on Configure button. Click on the Try Me button and you will be redirected a new page where you will see three sub-menu namely- Customize, Choose Form and URL & Articles. 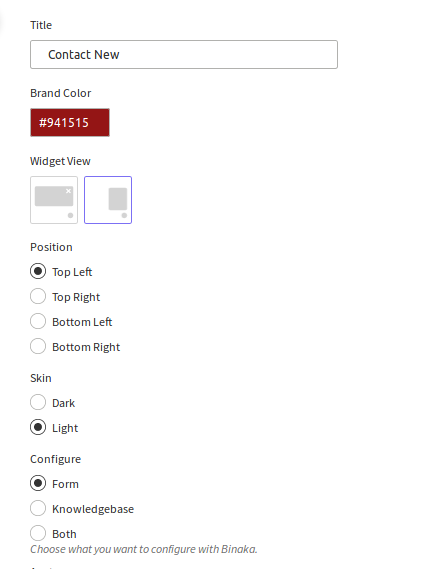 Enter the Title, select Brand Color, select Widget View, choose Position, Skin for displaying Binaka App and select Form which you want to configure with Binaka. Here, first, you have to create the form first from the Form Builder App. After the form creation, you can select them from the drop-down. You can then click on Embed Code, thereafter which you can copy and paste the code wherever you want the form to appear on your website.